What sets Derek and Natalie apart when representing sellers is their rare ability to strike a delicate balance between vigorously advocating on behalf of their clients while also graciously engaging the entire San Francisco brokerage community. Natalie Rome and Derek Chin know how to skillfully execute a marketing strategy to attract the largest possible pool of qualified buyers and deliver the best possible price and terms for their Sellers. We recently had the privilege of representing a Buyer with a strong interest in one of their listings. Roughly three weeks before the first open house, Natalie and Derek maximized their network of agent relationships and alerted key players in the agent community about their upcoming listing. Their clients were still living in the home so they were sensitive to the privacy needs of their seller, yet expertly managed multiple pre-market showings to us and our Buyer. Their exceptionally cooperative spirit gave us the information we needed to prepare our Buyer for what we believed would be a competitive scenario. Their professionalism and integrity throughout the marketing period was nothing short of stellar. Our buyer was nervous about being shut out early in the process with a pre-emptive offer from another party. Natalie and Derek were clear and consistent in their communication to refuse any pre-emptive offers. They were committed to expertly preparing the property and delivering full-market exposure for the benefit of their Sellers. We knew intuitively that this was a special property. Though we were tempted to write an offer immediately, we took them at their word and they performed as promised. In a market where homes are languishing for months with no offers, Natalie and Derek were able to summon seven offers to this property, all above the list price. Though we ultimately did not prevail, we were among the final two offers considers and we couldn’t have asked for a more productive and respectable experience. 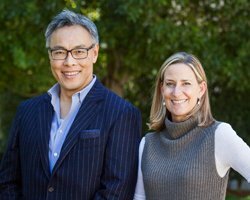 From our perspective, what sets Derek and Natalie apart when representing sellers – in addition to their passion – is their rare ability to strike a delicate balance between vigorously advocating on behalf of their clients while also graciously engaging the entire San Francisco brokerage community. We will actively seek out opportunities to work with them again in the future. They are principled, proficient and sincere agents who will do any Seller proud throughout the selling process.